From one band documentary to another – this time it’s Blur. 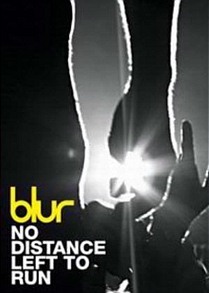 No Distance Left To Run: A Film About Blur premiered in the UK this week. Reviews so far are positive, praising a well-shot and intimate account of the band’s rise to the heights of British pop. The documentary is directed by Dylan Southern and Will Lovelace, whose combined résumé includes this music video for Franz Ferdinand. The pair’s work in the music industry obviously gives them great access to the four band members – Damon Albarn, Graham Coxon, Alex James and Dave Rowntree. I confess, yes, I am a Blur groupie. One of my great concert moments was seeing them perform at Sydney’s Metro and reaching out to touch Albarn’s hand in what can only be likened to this. They, together with Pulp, captured everything I loved about big britpop at the time.